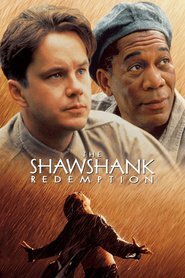 Living… in Shawshank Prison, where Andy is set to serve to two consecutive life sentences for the murder of his wife and her lover. He insists he’s innocent – but so does just about every other inmate in Shawshank. Profession… inmate who helps run the prison laundry. In his civilian life, he was an accountant. Andy was excellent at what he did, and saved his clients money while still managing to stay as “straight as an arrow.” He didn’t expect his detailed knowledge of the financial system to be of much use in prison, but prison guards need as much help with their taxes as anyone else. If he can prove himself indispensable to the guards, he might be able to convince the warden to grant him some special privileges. That could get him out of the laundry room, and maybe even provide some help with a violent inmate named Bogs who has taken, well, a “liking” to Andy. Interests… reading, geology, chess, and teaching the other inmates. Even within a prison Andy manages to keep himself busy. A natural introvert, he’s nonetheless struck up a friendship with his fellow inmate Red, a lifer who specializes in procuring items from the outside world. Relationship status… widowed. Andy loved his beautiful wife, but wasn’t sure how to show it. He blames himself for her death. He might not have pulled the trigger, he says, but he drove her away, and if he hadn’t she might still be alive today. Personality… quiet, thoughtful, and proud. Andy refuses to let the dehumanizing atmosphere of Shawshank break his spirit. While the judge declared him an icy and remorseless man, nothing could be further from the truth. Andy is warm and compassionate, traits that he manages to manifest even within notoriously cruel prison walls. Endlessly hopeful and patient, Andy won’t give up on his dream of living the free life he’s entitled to, no matter how impossible it seems. Andy Dufresne's popularity ranking on CharacTour is #1604 out of 5,000+ characters. See our top-ranked characters and read their profiles.